An Alaska cruise is a dream holiday possibility for many travellers, with magnificent ships visiting the region during the summer months. A trip to Alaska can take you from the depths of the wilderness to the peaks of mammoth glaciers and from surprisingly metropolitan cities to quirky small towns. To help you to make the most of your trip our travel expert Kristin shares her top tips for an Alaska cruise! Alaskan cruise itineraries generally go on sale up to two years in advance. If you want the best rate and finest selection of cabins, we recommend booking your cruise as soon as possible. Plan ahead for the most wonderful cruise holiday you can imagine! There are so many exciting excursions on an Alaskan cruise! This incredible region has a range of varied excursions – from guided tours around port towns to glacier hikes. Waiting to book these activities onboard the ship, or delaying until the actual port of call, could be a risk as they do tend to fill up quickly. 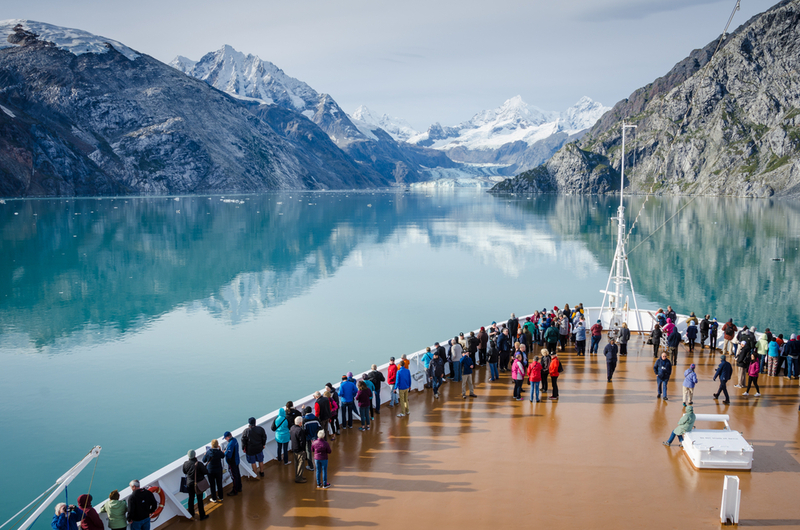 So, as one of our tips for an Alaska cruise, we recommend that you do some research and book the tours you don’t want to miss, before your holiday begins. Choose a balcony room if possible! 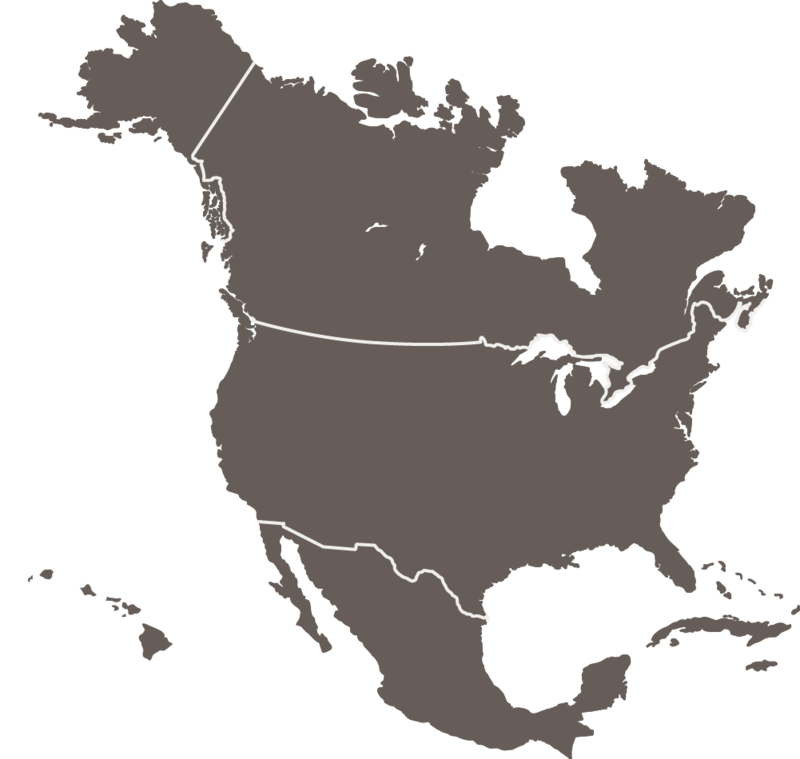 On most cruise ships to Alaska you can choose either an inside room or a balcony room. Though both options are fabulous, the balcony room is spectacular! There is so much to see every morning, afternoon and evening from this cabin type! You can of course spend time walking around the ship to view the beautiful surroundings, but there is nothing like waking up and going to sleep with the breath-taking grandeur of Alaska outside your door. You can’t beat seeing the magnificence of Hubbard Glacier and Margerie Glacier, some of the largest glaciers in the Northern Hemisphere, while on your own private balcony. It is also a much more comfortable way to watch for calving (the thunderous process of large chunks of glaciers falling off into the ocean). Trust me; a balcony cabin is a must! The Alaska cruise season is five months long, from late May to September. The temperature is often pleasant during the Alaska cruise season, but it can still switch drastically from day to evening, or from port to cruising. Therefore, packing layers is essential for this voyage. If you plan to do outdoor activities during your time in port, it is not the time to be fashionable! Make sure you bring the appropriate clothing with you so that you stay comfortable, dry, and warm, and can fully enjoy the extraordinary shore excursions in Alaska. Such clothing includes water resistant hiking shoes, rain ponchos or jackets, windbreakers, and warm layers. 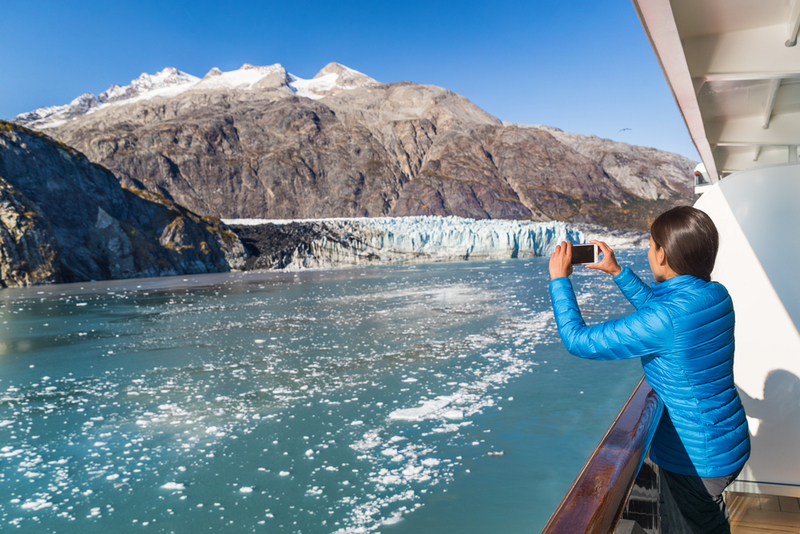 Start your Alaska cruise adventure today! Contact us and speak to one of our travel experts about your dream USA holiday!